With several models scheduled to be launched in Australia over the next 18 months, Electric Vehicles will soon become a much more common and viable choice for consumers searching for a new car. With this in mind, Motor Trader is introducing Plugged In, a new regular column from Paul Tugwell – Electric (EV) and Hybrid Electric Vehicle (HEV) expert, and MTA Institute trainer and lecturer. The column is dedicated to highlighting and explaining the technologies, systems and components of EVs and HEVs and in his first series of articles, Paul takes a look at battery systems, starting with a concise history of the battery itself. First of all, it is worth noting that, without batteries, our world would be a very different place. For starters, there would be no mobile phones and we’d have to crank start our cars – proof enough, I think, of how important this remarkable bit of technology is to the lives we lead today. So, what is a battery? Put simply, it is a ‘cell’ or collection of ‘cells’ in which chemical reactions create electrical energy. 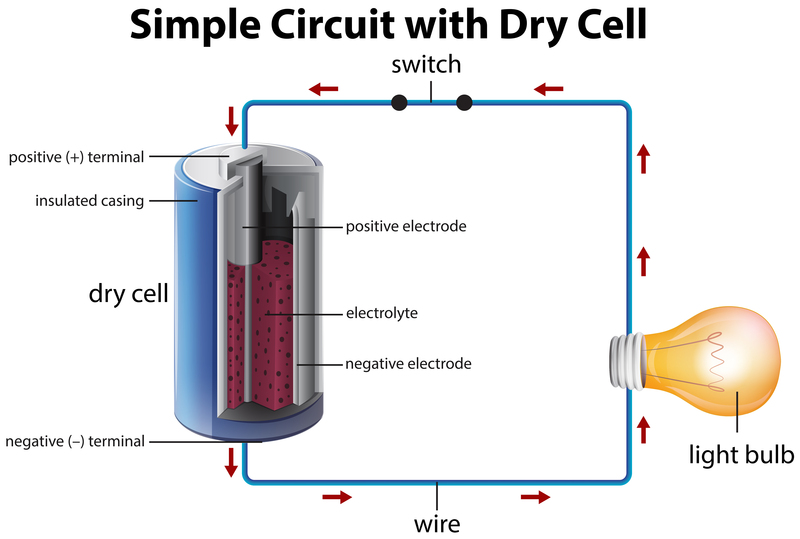 Each cell has an anode (negative) and a cathode (positive) – these are collectively known as electrodes – and an electrolyte substance that reacts with both. 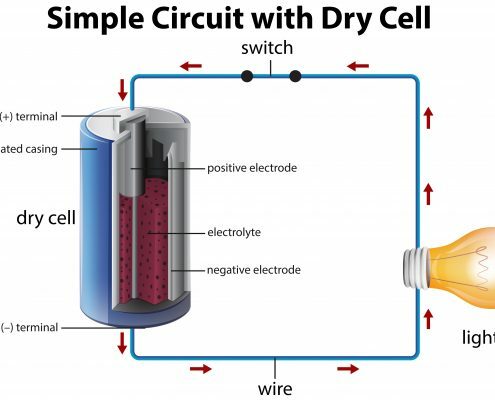 The chemical reaction in the battery causes a build-up of electrons (sub-atomic particles that have a charge) at the anode and when the battery is connected to a circuit, the electrons flow through the circuit to the cathode. In an electric bulb, for example, the electrons flow through the filament and light the bulb. When the material in the cell is depleted and no longer able to be used in the reaction, the battery ceases to work. In batteries that can be recharged, the direction of the flow of the electrons goes the other way by using an alternative source of power (plugging into a power socket, for instance) and the process is reversed, with the anode and cathode restored to their original state and again able to provide power. And that’s pretty much the basics. The battery has a long history. It was during the 17th century that a revolution in magnetism and an interest in the mystery of electricity began, and the 18th century when developments in electricity led the way to new advancements in scientific experimentation. In the 1740s, electricity became the leading branch of experimental physics and in 1800 Italian scientist Alessandro Volta developed a system through which an electric current could flow. This system, which placed different metals – zinc and copper – between salt parchment would come to be known as the Voltaic Pile and it is the earliest type of battery that could continuously provide an electric current to a circuit. In recognition of Alessandro Volta’s contribution to science, the unit of electric potential is called the VOLT. Incidentally, Volta also discovered that when methane was mixed with air it could explode using an electric spark – a discovery that would be the basis of an internal combustion engine. While Volta’s battery discovery was amazing, it was not without drawbacks and not entirely safe. Hydrogen would form during the reaction and accumulate on one of the electrodes, diminishing its ability to conduct as the hydrogen built up and increased resistance. This effect was called polarisation. Battery systems would continue to be refined following Volta’s creation, but it wasn’t until 1866 that French electrical engineer Georges Leclanche invented a battery that overcame the problem of polarisation. Leclanche’s battery was assembled in a porous pot consisting of crushed manganese dioxide with a little carbon mixed in. The anode was a zinc rod, the cathode was a carbon rod. The anode (zinc rod) and pot were then immersed in an ammonium chloride solution which acted as an electrolyte that made contact with the cathode. This system was known as a Laclanche Wet Cell. Improvements on the Leclanche battery would see the first dry cell created in 1888 by German physician Carl Gassner in which zinc chloride was added to the electrolyte that was then made into a paste, extending the life of the battery. This was, essentially, the first zinc-carbon battery, variations of which became the industry standard and are still used to this day. That brings us to the end of this introduction to batteries and in next month’s article we will look at other systems including LSI (Lighting, Starting, Ignition) Lead Acid; Nickel – Cadmium Batteries (NiCad); Nickel-Metal Hydride (NiMH); Lithium-ion type batteries (Li-ion); Lithium-Polymer, and some unusual high voltage batteries such as Zinc-Air and Zebra. Battery systems are an exciting and important area of our evolving automotive industry and I hope you enjoy the journey we will take over the next few months as we examine this continually developing technology. MTA Institute Salutes New Automotive Industry Graduates School’s in for Auto Camp in the Holidays!